One of the biggest innovations in energy efficiency was the invention of the pilotless gas furnace for residential and commercial use. Previous to the pilotless furnace, a small natural-gas-powered flame was always burning inside the furnace, waiting for the call to ignite the burners and start the heating process. 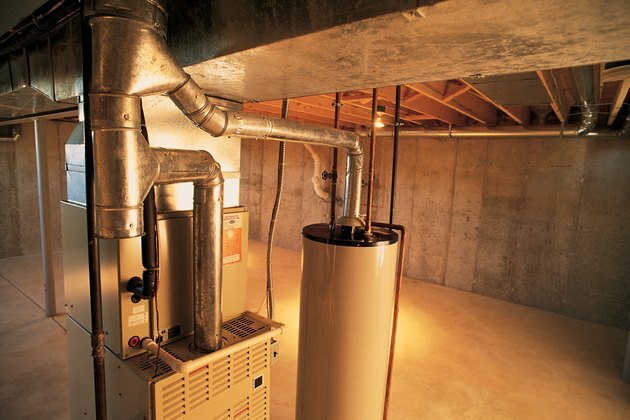 Pilotless furnaces use an electronic spark ignition that opens a gas valve electronically and then sparks to light the burners, then shuts off afterward to save gas. This system, while efficient, is not without problems. According to the HVAC professionals from Adema Heating and Air Conditioning, one problem with pilotless gas furnaces is the hot surface ignitor or spark ignitor itself. These are made of carbide, which is very hard, but brittle. Over time, the heat of ignition will cause these ignitors to crack and fail to light. When installing a new one, the oil from your hands can accelerate the process, so you should be careful not to touch the hot surface ignitor with your bare hands. While simple, these ignitors are also fragile. They are the first place to check when you have a problem with your pilotless furnace. Another common problem with pilotless gas furnaces is the vacuum switch that controls the burner. A small electric motor starts to spin right before the heating cycle, creating a vacuum, which the vacuum switch detects and then allows the furnace to start. This is done to minimize carbon monoxide and to make sure that the exhaust system is working properly. If this vacuum switch fails (sometimes the diaphragm breaks, sometimes the exhaust tube is plugged by insects or a bird's nest outside), the furnace will not light. To gain the maximum efficiency, pilotless furnaces typically contain complex electronic systems that are controlled by a central circuit board--the "brain" of the furnace. This circuit board is another common problem with pilotless furnaces. Often times, the board will sustain heat damage, or the small fuse on the board will burn out, or the board can even become water-damaged and stop working. If this happens, a fairly expensive circuit board replacement is unfortunately in order.